Mixte frames have had their place in history as a unisex frame and Kitty fills this niche without giving up on power transmission. We have put our WOOCA frame building technology to work to produce the best ride quality available. We have chosen a hardware package that is designed to be light, responsive and maintainable for the road. Dropbars with Gevenalle brifters and shifters make sure that you can punch through the gears as desired without any worries. The simplicity, serviceability and lightness of this package is fantastic. 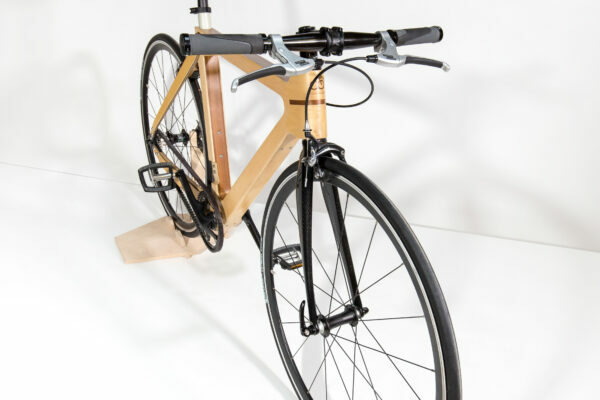 This bicycle will keep you on a roll and make you feel great while doing so.